The whole experience of being an overseas student and all that it entails is usually a very exciting experience. However, it can also be a great upheaval, both physically and emotionally. We want to make that transition as smooth as possible and will give as much support as possible to help you find appropriate accommodation and settle in. Please note though that it is ultimately your responsibility to arrange accommodation and to pay for it. 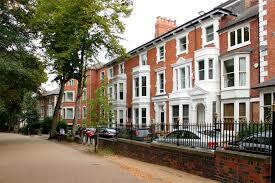 It is Leicester Language Academy’s policy to encourage pre-university students from overseas who are not joining family or friends to spend the first term of their stay in the UK with either a Host Family or to stay with one of our accommodation partners who provide dedicated student accommodation nationally and also here in the city of Leicester. We have a number of inspected host families with whom we work and these are reviewed by the academy with Ruyang Guardian Services and Educational Consultancy Ltd. There is also a wide variety of accommodation to rent, from more expensive city centre flats or appartments to cheaper older houses which may be shared. We will provide information regarding reliable lettings agents as part of your application process. Generally you must be prepared to pay a month’s rent in advance alongside a deposit (usually a month’s rent) and the agent’s fees (variable). For further details on our accommodation partners please email: info@lelangac.uk . We have access to a list of rental agents, which we have found particularly helpful in the past. 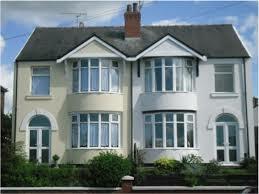 They are not in any way associated with Leicester Language Academy and there are other agents in Leicester. LLA is part of Ruyang Guardian Services and Education Consultancy and drawing on our experience not only as teachers and educators but also as Educational Consultants, we understand the importance of regular contact with family, Houseparents, and we are also in a position to speak with schools at the highest level about your or your child’s progress, academically and socially. Through our accredited International Guardian Service you are assured that all aspects of your welfare and progress will be managed professionally by dedicated, experienced staff. Our Educational Guardian Service Department is always on hand to offer help and support to both students and overseas parents. We believe that a happy student is best placed to enjoy academic success and to make the most of all the benefits of an active and fulfilling stay within the UK. • We have a 24-hour support system in place for all students. Your child can contact a member of our team at any time for information or advice, or in the event of an emergency. • We comply with all CSCI National Standards. • We are accredited by AEGIS (Association for the Education and Guardianship of International Students. • We are full members of ACE (Advisory Centre for Education). Finding each student an individual Host Family under our Guardian Service, that is right for them, is one of our most important tasks. Students want to feel secure in the knowledge that their child is safe and cared for and we work hard to ensure all our Host Families meet these requirements. We expect our Host Families to offer the best possible care and a home-from-home, as well as plenty of opportunities for your child to make the most of life in the UK. • We take the task of finding Host Families very seriously and there are certain key requirements we look for in each one. • An understanding and empathetic environment for overseas students studying within the UK. • Knowledge of independent education. • A genuine interest in the progress and welfare of the student. • A comfortable and welcoming home with suitable accommodation for the student. • A willingness to accommodate and understand the student’s culture or religion. What Kind of Host Family? • The student’s needs are our first priority. When finding a Host Family we take the time to get to know the student, which means thinking about his or her personality and their individual needs as well as hobbies, interests and preferences. • A senior member of our Educational Guardian Service Department visits all prospective Host Families in their homes. We take up professional and personal references and carefully check the background of every Host Family to ensure that your child will be safe and happy in their care. All our Host Families undergo complete Police checks to ensure the safety of all our students. • Once all our checks are complete, we always arrange a trial weekend to ensure that the student is happy in the Host Family’s company before finalising any arrangements.